How about a tasty treat around the campfire that is not a S’more? I love pineapple upside down cake, it’s moist, flavorful, and a sweet sugary treat. Here is how to make one over your camp fire! Work a fire so you can get a medium flame for heat. Place a 12×12-inch sheet of aluminum foil on a work surface. Spoon brown sugar and butter in the center of the foil. 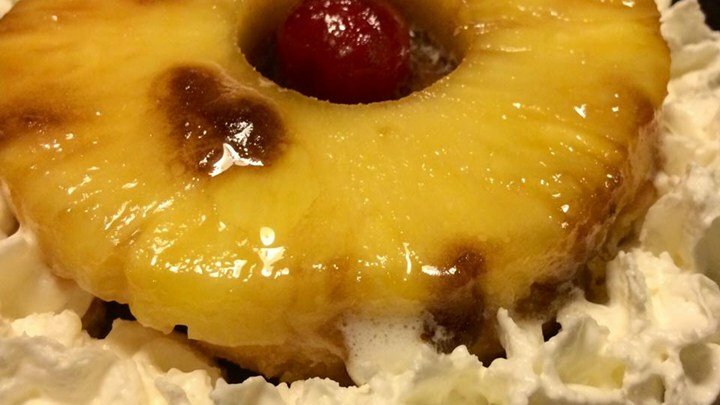 Arrange pineapple ring over sugar and place cherry in the center. Top pineapple ring with inverted shortcake shell. Fold foil around cake to form a packet. Grill packet sugar-side down in the preheated grill until sugar is caramelized and cake is hot, about 12 minutes. ← Floor Jack Rear Axle?